#2161: Santana Moss - The Mike O'Meara Show The Mike O'Meara Show #2161: Santana Moss - The Mike O'Meara Show | A fun mash-up of real life, pop-culture, news of the day, dynamic audio clips, and three guys busting each others’ balls. 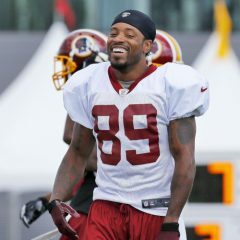 Today, we are joined in studio by the great #89: Santana Moss. We talk about his career, Redskins past and present, his TV provider… and NFL officiating. Plus, Mike blows it.